A disc made of greenish bronze was found in Germany in 1999. Illustrated space objects like the Moon and a star, the disk is now thought to be the oldest calendar in the world. The disc is called "The Sky Disc of Nebra," is expected to made in 1600 BC. Has a diameter of about 32 cm, the disc was allegedly also the first celestial map created by humans. 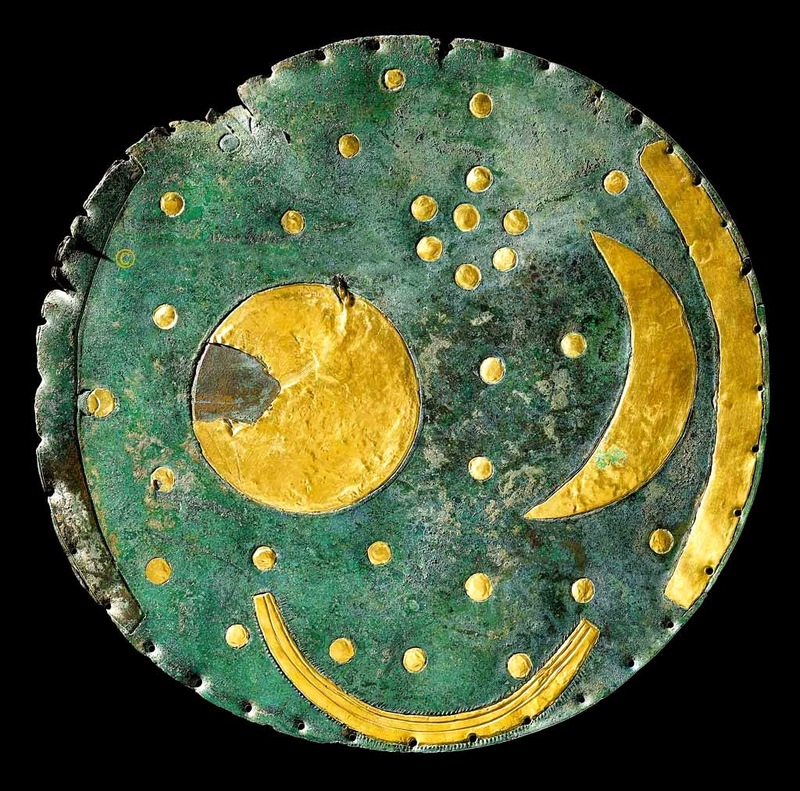 On the research that conducted by archaeologists reveal that the disc was illustrates the Moon, and a number of stars with very clear. And it's believed, the disc is used as a calendar to determine planting and harvesting seasons by the Bronze Age society. The Sky Disc of Nebra of which shows clearly when a group of star called the Pleiades found in the Earth's northern hemisphere, precisely the central part of the German region. When the Pleiades appeared with a full moon, that's when autumn begins, at the same time of harvest should be done. The disc was fascinated many archaeologists. "We know the past must have had the idea of a season, the Moon, like us," said Alfred Reichenberger, a researcher and spokesman for the Halle National Museum, as quoted by the Daily Mail on Monday, December 22, 2014. Actually, there is a picture of the cosmos that is older, as of the time of Ancient Egypt. However, the Sky Disc of Nebra was unique. "That's the schematic. Until now, there has not been anything concrete with the same functionality as the Sky Disc of Nebra," said Reichenberger.